Desiigner’s “Panda” stormed the charts in decisive fashion: In just eight weeks, it climbed to No. 2 on the Hot 100. The track is No. 1 on the Streaming Songs chart and the Hot Rap Songs chart as well. It doesn’t even have a video yet. As soon as a song's hot, the remixes start pouring in: there's already a Nigerian rework, a Lupe Fiasco version, a Lil Kim version, and a Meek Mill version. 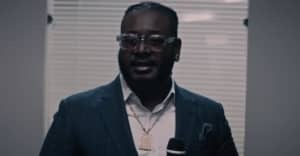 T-Pain hopped on the "Panda" train today with his own rendition of the track, which channels the same breathless flow as his recently released "Look At Me." Young Cash also makes an appearance. Listen below.